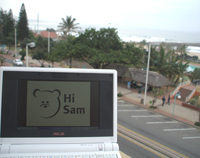 I spent two months in Durban, South Africa this summer. When it’s summer here in England, it’s winter in South Africa so everyone kept telling us how cold it was but it still felt hot and sunny to us! I’m sorry the Hi Sam picture isn’t great. This was the view from my hotel room balcony, looking out over the Indian ocean. I saw some amazing sunrises from here in the mornings and lots of people surfing in the sea. Some days I sat and watched groups of dolphins and killer whales swimming past too. 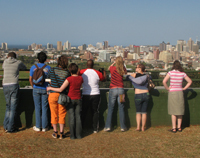 This is a picture of the team I was working with, looking out over the city of Durban. 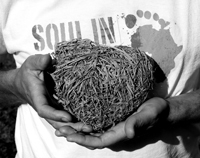 The other picture is of a special kind of nest, built by a bird called a Weaver Bird. They make their nests by weaving grass together. We liked this one because it is heart shaped. October total and a plan for the big one! All this gives us an incentive to go for the big 3-0 in time for Christmas! We’re organising a Christmas sale / fun lunchtime and need your help. If you are a knitter, a craft person, a cake baker or could donate a cool prize to our raffle please get in touch – stuff4sam@gmail.com We want to hear from you – don’t be shy! 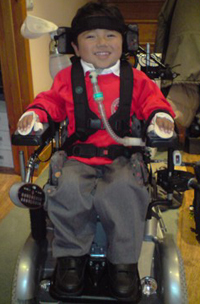 Don’t forget that every penny of the money raised goes straight to Sam. For those at Judd Street, put 2 December in your diaries. There will be cakes and fun aplenty!